On the 25th of January 2018, Nike released a brand new range of NBA uniforms that made history. This is the first time in the history of the NBA that the iconic Jumpman logo will be on the uniforms during the NBA all-star game. This was released at the Future of Flight even at Los Angeles, California. They’ve gone back to a classic white and black finish, adding distinction to the logo while maintaining their cutting edge material and design. They will have the individual team logos on the front, using fonts inspired by LA street signs. They new uniforms also have some classic features remaining from previous years, with the stars down the side of the uniform and “All -Star Edition” scripted before the size tag. 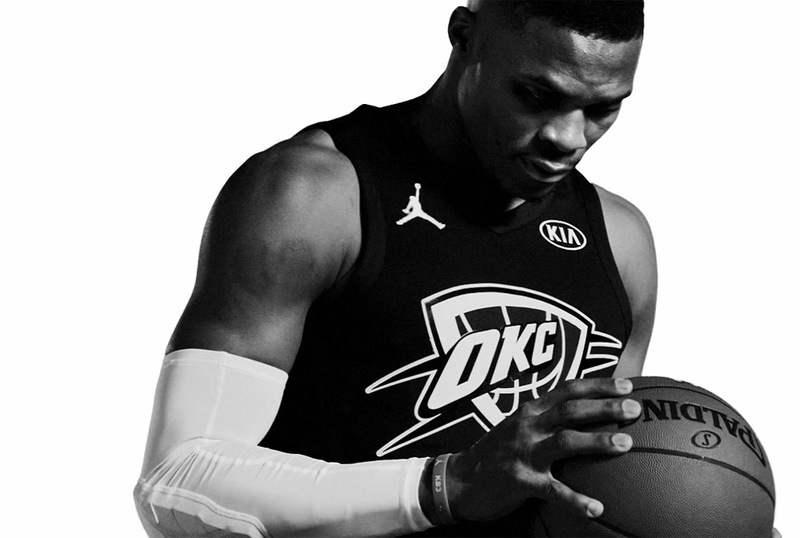 Nike also announced that their main priorities for the brand going forward were the Jordan Sportswear, Jordan Women’s, Air Jordan game shoes, and Russell Westbrook’s Why Not Ser0.1. Is Nike Inc. Moving Towards A More Digital Approach? Nike is the highest grossing and most popular athletic brand in it’s market industry. Nike has become the most highest trusted brand in sporting goods and athletic adventures in the world. Many top professional trainers and athletes will recommend Nike in a heart beat, especially their running shoes. While Nike offers top notch quality in the athletic apparel and sneakers, Nike is now moving up in the world and starting to compete is the technology side of the world. While, I’m sure you’ve seen the fitness watches, fitness trackers and all the other technology that is geared towards helping people work towards their fitness needs, Nike is starting to see that trend and run with it. While Nike is notoriously known for the brand of shoes and apparel that they have to offer, Nike has started into a new venture of digitally induced forms of technology to help their customers track their time and improve their performance in their fitness endeavors. Nike has launched quite a few products in the past year that could really change the game for the company and get them into yet a higher stance of retail with their digital products. I’m going to go over a few products that are very new and highly productive in tracking results for fitness in the future. Let’s take a look at the Nike+ Fuelband. The Nike+ Fuelband is a multi-screen experience that allows users to track their fitness in a high LED experience. The Nike+ Fuel band may look and feel a lot like a heavier Livestrong Bracelet. It has a similar rubber-like feel and isn’t that a lot larger, however, user reviews show that it has a stronger success rate than the Livestrong Bracelet. It has a built-in USB, so it’s pretty sturdy and has extra memory built-in. As far as looks so, it’s pretty stylish. It’s not too heavy, even though, at first glance you may think it is. The coolest part of the Fuelbad is that it displays on the main LED page is how may step, calories burned, fuel level…etc. I thought that was a big plus, especially having it all there on the tip of your wrist. So let’s take a deeper look into the new fitness bracelet, what is fuel according to the Nike+ Fuelband? Fuel, according to the Nike+ Fuelband is technology that measures your activity through the movement in your wrist. The more you move, the more fuel you earn. The band’s three-axis accelerometer measures motions and movements and translates that into NikeFuel as well as calories that you have expelled. It’s almost a one-touch button that can calculate those numbers for you, making it super user-friendly. The app also has a desktop software where you export all your fitness tracking onto your computer, basically so you can keep track and track your progress as normal. It’s a very clean and polished software, also very user-friendly. You can export all progress reports into data sheets, excel files…etc. Compared to the new and popular FitBit, Nike+ Fuelband is giving the FitBit bracelet a run for the money. There are a couple of key points to consider. Fit Bit is a tiny device that you can slip into your pocket and forget about, while the Fuelband is an attachment on your wrist that you are reminded of constantly. Secondly, the Fuelband is a bit cheaper price wise than the FitBit tracker. So, many of the FitBit users are now looking into Nike’s newest technology for improved fitness. Also, you need to consider that while many fitness trackers can be devices that they clip on, put in their pocket…etc, the Fuelband is a piece that you wear regularly and once you get into a habit forming exercise of putting that piece on in the mornings, it will stay with you, while the others you may forget or even loose. The Fuelband has been featured in many fitness magazines and recognized as the newest fitness trend in America. It’s still relatively new, so there are many people who may have not heard of the newest fitness product from Nike, but sure as the world — it will become a very popular item in the fitness world. In conclusion to this review of the Nike+ Fuelband I must say I’ve very impressed with the result and use of ease so far with this new fitness product. It could really pave the way for more digital fitness gear to make it’s way to Nike’s highly popular brand. While Nike is still the world’s largest sports and fitness retail item, especially as far as apparel, shoes and accessories go, Nike really wants to break into the world of technology and set up their game in that realm. I feel that the Nike+ Fuelband could expand and become bigger than all the fitness apps and other brands out there, given the time. With the technology at hand, and the quality of Nike products, there is a definately a future for more techonology based products in the Nike line. While Nike is known for the best quality of sports apparel, sneakers and workout gear there really is no limit to what they can accomplish as far as new future products go. The Nike company is surely going to compete with the newer sporting brands to ensure they stay on top of their game.